At the moment, Kik is rapidly becoming one of the most popular messaging apps that is on the market. If you haven’t heard of it yet, it won’t be long before everyone will be using it and it will become a mainstay messaging app on your phone. Each day the number of users keeps on growing, as people are turning away from paid messaging apps and looking instead to make the most of all the cool features that Kik offers, all for free. Why would you pay to send messages when you can do it without spending a single cent when using Kik? Kik messenger is free to use, provided you already have connected access to the internet. It doesn’t matter what type of connection you have, whether it is through a global or local network, they all work. You can download the messaging app from the respective application store, whether you are using an Android, iOS or Windows device. It really is a universal messenger that connects people from all across the world like no other. To get you started along the way with your journey on Kik, you will find a comprehensive Kik Messenger Sign Up Guide that will carefully walk you through each step of the signup process. There are many different features that separates Kik messenger from all of the other messaging applications on the market today. Perhaps one of the standout features is that you do not need to use your phone number in order to use the app to message people. In an age where people are so concerned about their online privacy, Kik provides a safe method whereby you can chat with anyone across the world without having to give them access to your phone number. All you have to do instead is create a unique username and send that to them so they can add you. You will then have all of your friends in your contacts instantly so you can get started chatting. Now you can feel safe chatting with anyone, anywhere without disclosing too much private information if you do not want to. This feature is great for those people who are suing the app for business enquiries, as it allows people to easily connect with you without having to fiddle about with country codes and confusing phone numbers. It also provides a much more fluid platform than email, as it is less imposing and easier to use and keep track of previous conversations and messages. Not only can you use the app to send messages to all of your friends, you also have the option to share all different kinds of things, like images, videos, gifs and so on. You can create groups that allow you and your friends to all participate in a group chat and organize things as a single unit. No longer do you have to juggle four or five different conversations when you are trying to make plans to do something. This is also handy for any organizations or businesses that are planning an event or need to discuss some sort of topic in an easy manner without hundreds and hundreds of emails. Now that you know about some of the cool and unique features that Kik offers, you are now ready to get started with it. There are two main options you have when you want to use the Kik messenger. You can use it on your smart phone, as well as your computer. If you want to download the app onto your PC, you will initially have to download some sort of Android emulator software that will allow you to access the Android Store. A common emulator that people use for this purpose is the BlueStacks app player. You will then be able to download the app from the Store and use it on your desktop. Alternatively, when you wish to get Kik for your phone, you simply access your device’s application store and search for Kik and download it. You will usually find it in the most downloaded categories if you prefer to look for the app in that way. It is always near the top of the charts when it comes to free apps. 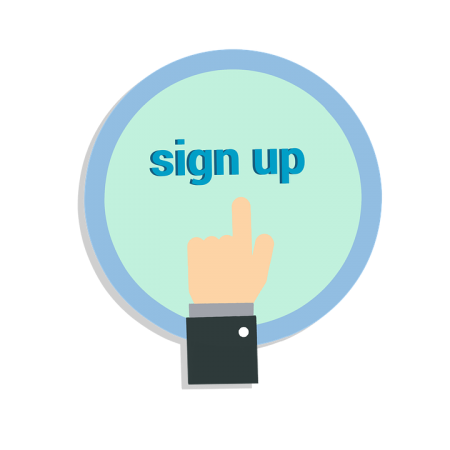 Now that you have the app downloaded on either your computer or your mobile device, you are ready to go through the quick and easy signup process. If you have downloaded it for your PC, go to the BlueStacks application that can be found under “My Apps” or “All Apps” tab and you will see that the Kik messenger has completed its installation. Make sure that you download the emulator correctly or else you will be faced with buggy problems and issues when using the app in the future. You do have to be a signed up member to the relevant store that you are downloading the app from as well. Start the application by double clicking on the icon and you will see the messenger launch up on your screen. If this is the first time that you have launched it, you will have a screen facing you that requires you to either “Login” or “Register” for your account. If you are using the Kik messenger app on your mobile device, simply enter into the app. In order to set up your account, you will need to fill in your first name and last name. The next step is to choose your own Kik username. You should take some time when choosing your username, as you won’t be able to change it once you have registered. There are many different types of names that you could use. Here is a useful guide that will give you some great ideas as to what Kik username you should pick. Finally, enter your email address, a strong and secure password, as well as your date of birth. When you are selecting your password, don’t just use one that you have for all of your other accounts. This is not ideal if one of your passwords is stolen and it can be used to access all of your various accounts on different platforms, such as your email and online banking accounts. You should have a tough password that is unique for every account you have. This is basic internet safety, but it cannot be underestimated. A strong password has more than eight characters, utilizes both upper and lower case letters and also includes numbers and symbols. The longer the password is the better. This gives you a peace of mind that nobody will be able to crack your password and have access to all of your contacts and private conversations. When you have completed all of these required fields, you are ready to proceed by clicking the register button. Kik takes the privacy of your information seriously and they ensure that no one is trying to falsely use your details to create up a Kik account. Therefore, when you have clicked the register button, you will be directed to a screen that requires you to give two verification codes in order to complete the registration process. This confirms that you are not in fact a robot that is trying to maliciously use your details to set up an account and spread spam. Once you successfully do this step, your account will now be created for you. Once you have entered in the correct codes and selected finish, you proceed to a welcome page where the folks at Kik will ask you if you wish to sync all of your current contacts automatically into your account. This will quickly allow you to see which of your contacts are using the app and you can instantly message them without any further ado or having to ask people for their usernames. If not, you have the option to manually enter them one by one. Now that you have followed this Kik Messenger Sign Up Guide and signed up for the Kik messenger app, your options are endless. You can use the platform in any way, shape or form that you desire. If you want to chat with friends, you can now easily connect with them and start up group conversations where you can share hilarious videos and images with one another. If you are a group or an organization that needs to debate a certain matter, you can arrange meetings and discussions on the platform. Finally, you can get in touch with certain celebrities and major global brands such as MTV using the Kik app. Whatever your messaging needs, they are solved when you are on this platform. It is a platform that is only going to become more and more popular, so get on board before the hype train really gets going and show all of your friends what it is all about. If you found this Kik sign up guide helpful or you have any tips that you yourself found out when signing up for the platform, leave a comment below.